Darren Hoyt is a product designer and web developer who lives, writes and sometimes1 makes2 music3 in Brooklyn, New York. I'm a UI/Visual designer focusing on projects that support humanities, music, travel and subcultures. I like making web products that educate, entertain or make life interesting. My process is a mix of disciplines learned in 10+ years of working with development teams and exploring the psychology of users. If I'm researching, experimenting or building, I'm happy. I began designing at Convoy4, honed client-service skills, led a team, bent WordPress into weird shapes. Later I took founding creative roles in products like Readability, Kindling, and currently Beatport Live. I love learning new tools and frameworks, but my larger focus is the culture of the web itself and its impact on the world. 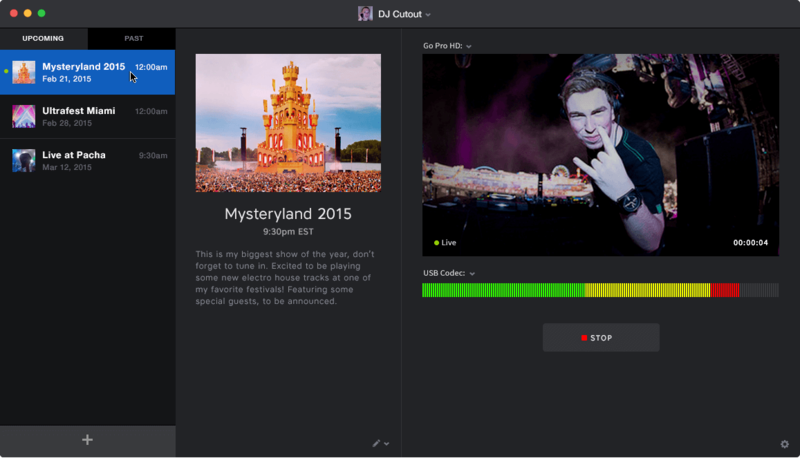 Live is the lastest product on the Beatport roadmap, a streaming DJ platform to broadcast live sets. 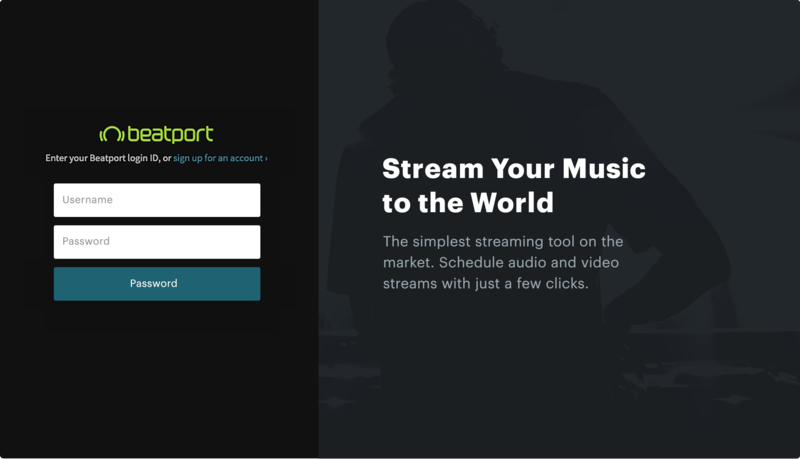 In 2004, Beatport began as an online store and news hub for electronic music culture. When it was purchased by SFX in 2013, it became part of a larger umbrella that included ticketing, live events and streaming music. As more energy was being placed around large festivals, SFX strategized how to develop tools to deliver the live experience to fans around the world. 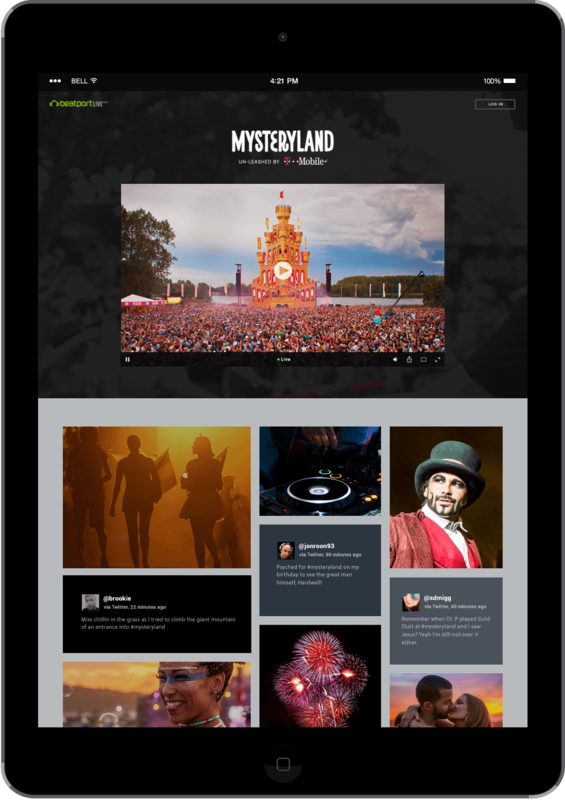 Results: in 6 months, the Live product has evolved from a wireframe sketch to a multi-platform service with a web-based dashboard, OSX app, branding partnerships and successful streams for international festivals like Tomorrowland which attract up to a half-million simultaneous viewers. Live content also factored into the 2015 deal with Spotify. 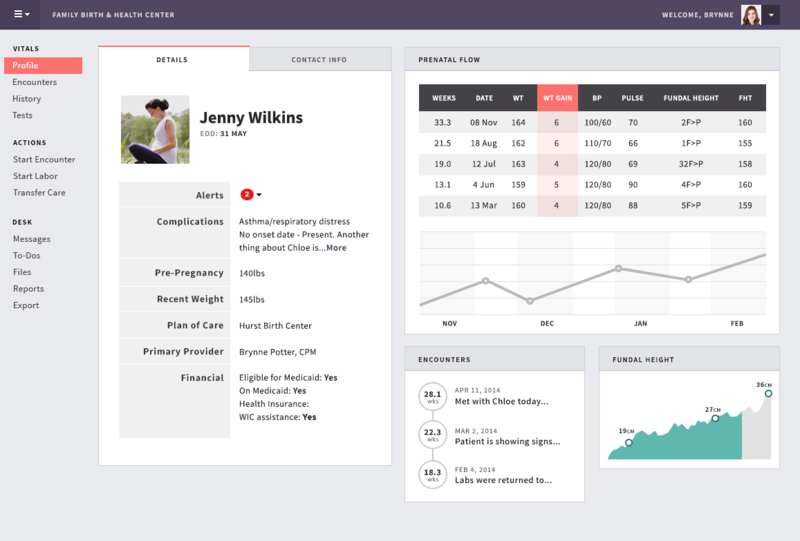 The flagship app of a new breed of healthcare startup, the EHR dashboard is only product of its kind to provide midwives with real-time maternity data. Maternity Neighborhood was founded by midwives who were seeking more efficient ways to strengthen communication between pregnant women and providers. They teamed up with software engineers and became the first in the industry to build tools for scheduling, billing, and EHR data specifically for midwifery clinics. I worked closely with a midwifery advocate to explore how providers traditionally handled patient intake and the challenge of getting a technology-shy industry to embrace our apps. We looked at the heirarchy of data that providers needed from a dashboard and designed around a mix of personal and clinical data, experimenting with colors and typography favored by midwifery clinics. 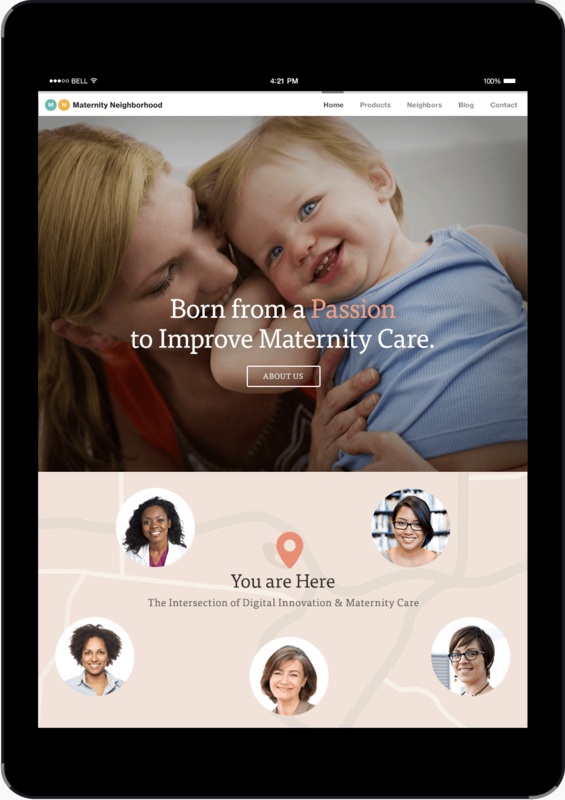 Results: with new design assets a completely refactored EHR product, Maternity Neighborhood reps were able to show off the new tools at conferences like Health2.0, win "Innovator of the Year" awards, and make workflow easier for a new generation of midwives. A popular bookmarklet that grew into a reading platform and eventually a #1 spot in the App Store. The problem Readability aimed to solve was simple enough: to clean up noisy, distracting web content. The original bookmarklet was an Arc90 lab experiment that removed ads and marginal content with a click, rendering the article as a clean, simple, single column of text with beautiful typography. 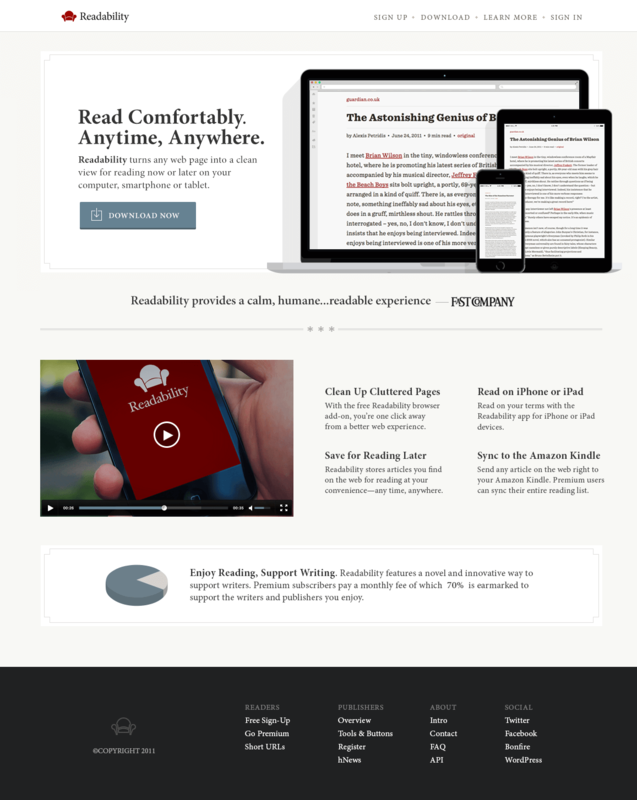 In late 2010, Arc90 put together a small internal team to develop Readability as a full-scale reading platform. After launch, its unorthodox profit-sharing model with publishers made the mainstream news and started larger conversations about funding journalism. Hoefler Frere-Jones agreed for the first time to have their type rendered as a webfont, greatly enhancing the legibilty in the iOS app. Soon after came mockups for the mobile web views which handled offline syncing and streamlined sharing, but primarily served as a stopgap until the iOS apps were released 2 months later. 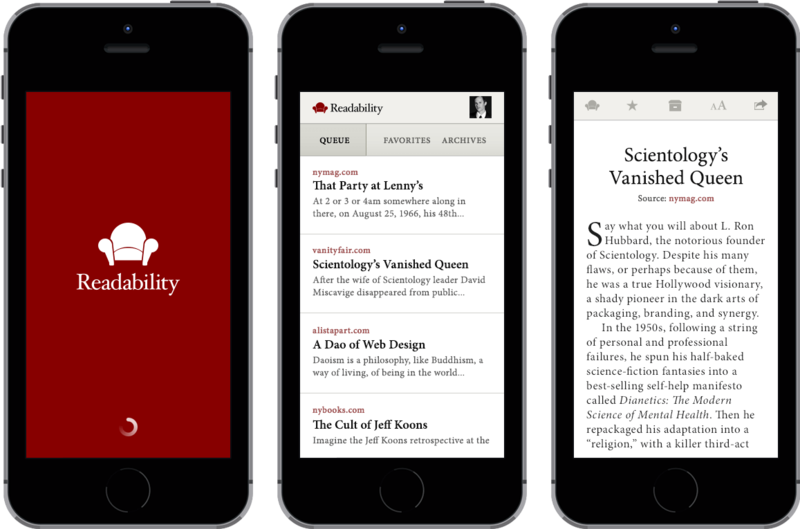 Results: over the course of a year, Readability went from a lab-based experiment to a successful platform that stayed #1 in the App Store for weeks, led to partnerships with Teehan + Lax, led innovation among time-shifted reading tools and inspired many similar apps.